United Structural Systems Ltd., Inc. was founded in 1995 and is now a third-generation family owned company. 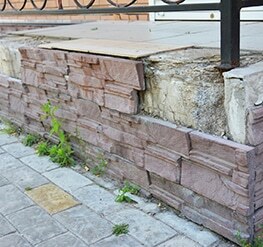 We specialize in foundation repair, waterproofing and wall realignment for both residential and commercial buildings. Our foundation experts are aware that no house or building is the same, and no repair is exactly the same. To ensure that our customers get the best service possible, we stay up-to-date with the changes that occur in foundation and waterproofing repair processes. Each of our technicians is trained to handle unique foundation problems and knows the best system to install. When you need structural repair in Lexington. Kentucky, United Structural Systems has the long lasting solutions you need. We pride ourselves on providing engineered excellence and the highest level of service for our clients, including educating them about every step of the process and project. Our team will be honest with you and will even let you know if your property does not need service. For more information or to schedule a free estimate, contact us at 859-203-5184.